Thank you very much for your continued support for Hisho Collection Mall Empire. However, we regret to inform everyone that Hisho Collection Mall Empire will be retired as of 28th September 2013 14:00WIB. The service was brief, however, we truly appreciate all of our fans and wish to thank you for your dedication to Hisho Collection Mall Empire. The Purchase System will be terminated after completion of the maintenance on 28th August 2013 14:00WIB. The other functions and services in the game will be available until the game is fully retired. During the remaining 30 days, we hope that you will continue to enjoy Hisho Collection Mall Empire. ・After the retirement on 28th September 2013 14:00WIB, players will be unable to play the game or view past data from the game. Check out our other game, Sengoku Collection Samurai Fantasy! 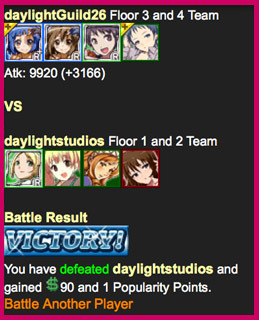 www.kotagames.com. Secretaries are your main assets in the game. Hire as many secretaries as you can. Combine different secretary cards to make them even stronger. 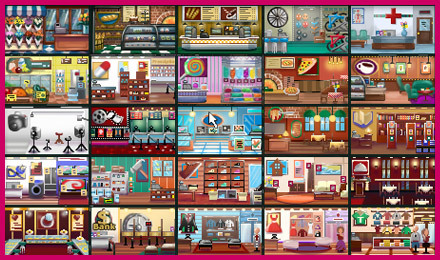 Develop your Mall by building different shops, managing your secretaries and collecting the profits of your businesses. Pit your secretaries against competing players. Earn money and fame by performing missions. Steal secret documents to obtain rare Secretary Cards. Cooperate with buddies to take down tough bosses. Exchange gifts with your teammates to grow stronger!